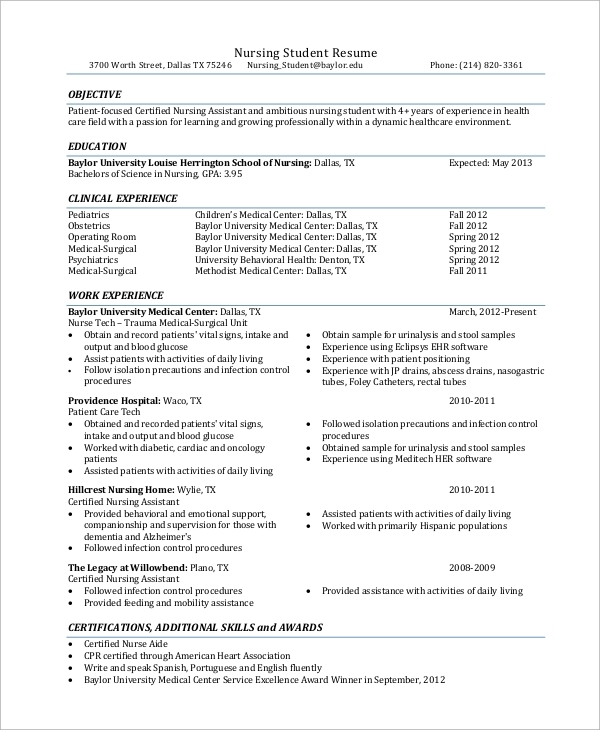 Resumes are the most important document that every individual such as freshers and experienced professionals need to provide while applying for a job. A clean and proper resume can grab the attention of the interviewer instantly. 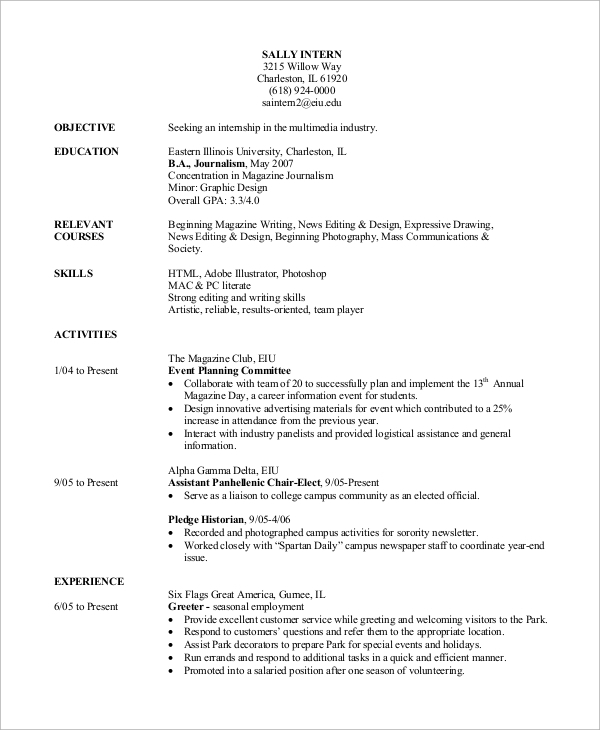 The following Free Sample Resumes will provide you with all the needed guidelines and examples for writing a stunning resume that will give you an edge over your competitors. 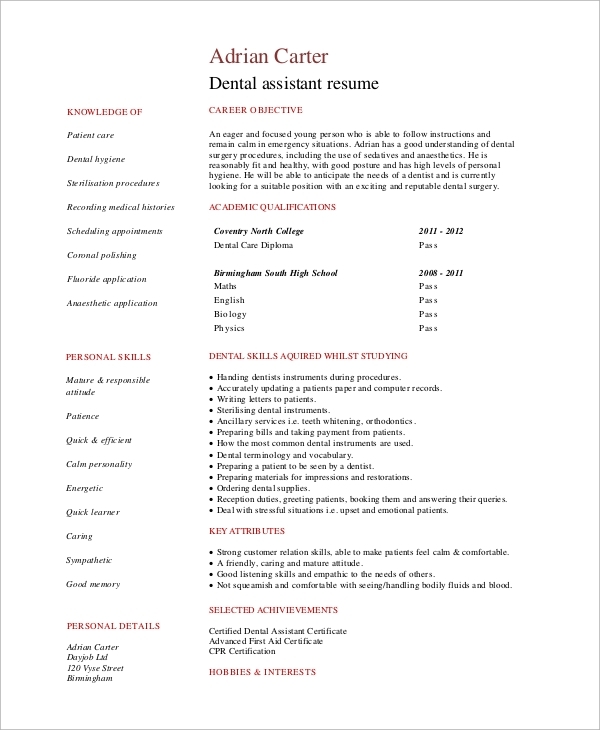 This is a perfect Resume Format Samples and outline for the dental assistants. This format is creative, and it highlights the main points of his personal and professional skills on one side and the rest of the details like career objective, qualifications and work experience in another side. A Graphic Designer’s Resume has to be creative, and the given example serves the purpose well. It is clean and modern and highlights the most important points and skills very creatively. It shows the work experience and duties and roles in the past with personal and professional skills and technological expertise. 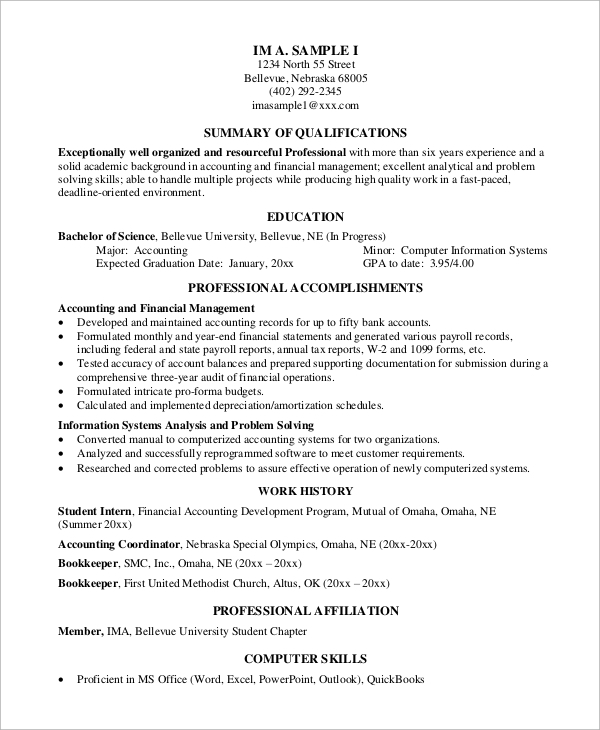 This is a technical resume drafted especially for people and professionals with technical knowledge. It provides all the guidelines needed to write a decent and stunning resume. It contains several samples for the same depending on the professions. 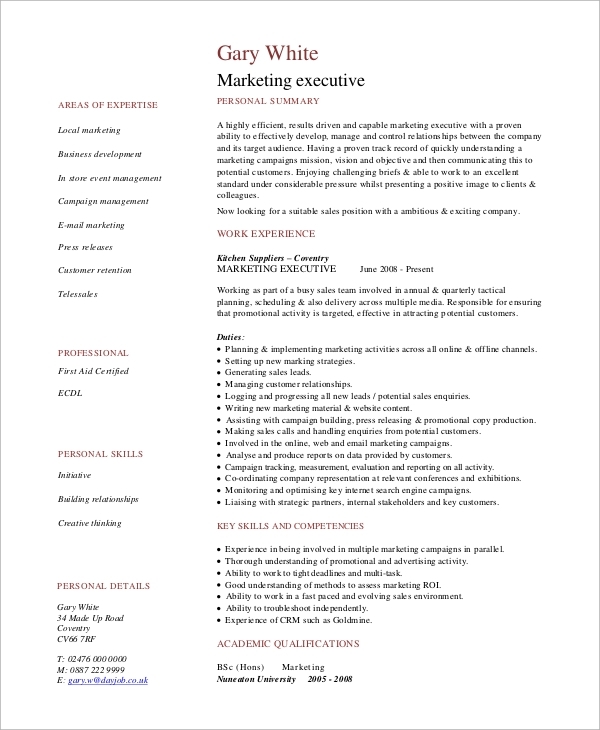 As resume is an important part of corporate life and it should be proper and stunning to grab attention at once. Everyone submits a resume, but only a few are able to leave a strong impression in the mind of the interviewers. The above-listed Resume Samples will help you to prepare those kinds of resumes for managers, assistants, creative professionals, consultants, sales associates, construction company professional and everyone else. They have multiple formats and samples to understand the ingredients of a good professional resume. 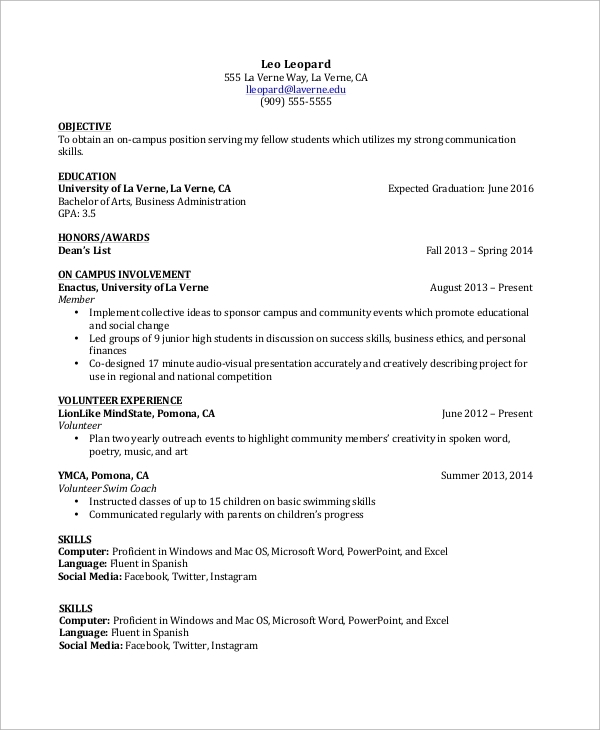 This executive resume example has an organized format to display the skills and knowledge base of the person. It highlights the skills and areas of expertise in bullet points while the rest of the details like personal summary and experience on the other side. This is a resume example for managers of different types such as executive manager, sales manager, technical manager and so on. It has a well-structured format with key highlights in bold letters. It has a professional summary, key strengths, professional experience in details with achievements, and other credentials. The targeted audiences for these Best Resumes Samples are the working and experienced professionals as well as the freshers, like students who intend to apply for internships and the fresh graduates wanting to get a job and enter the corporate world. 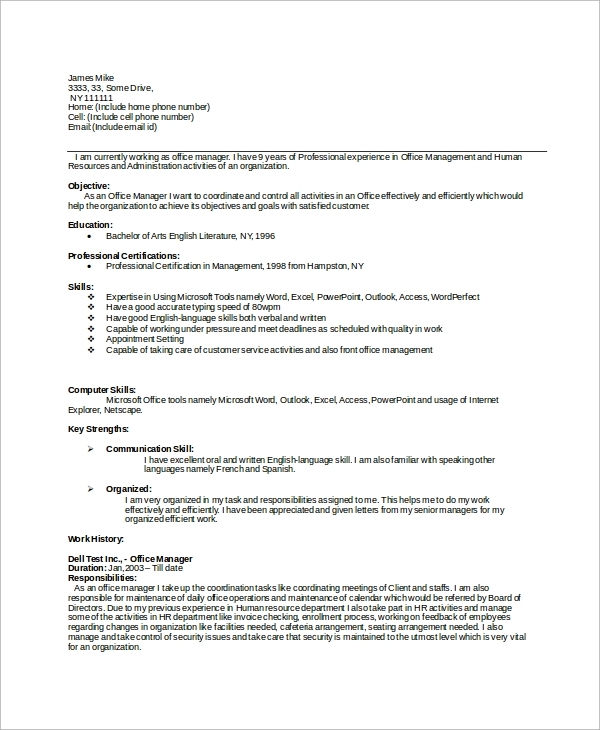 The experienced professionals that include managers such as sales, project manager, delivery manager, human resource manager, technical professionals like team leaders, team members of project work, technicians and so on, can also use these Resume Examples. The above-listed Resume Examples serve not only the freshers but also the professionals like managers of different departments like sales, human resource, delivery and so on. Even the technical professionals like team leader of a technical project can also use these samples as a reference. 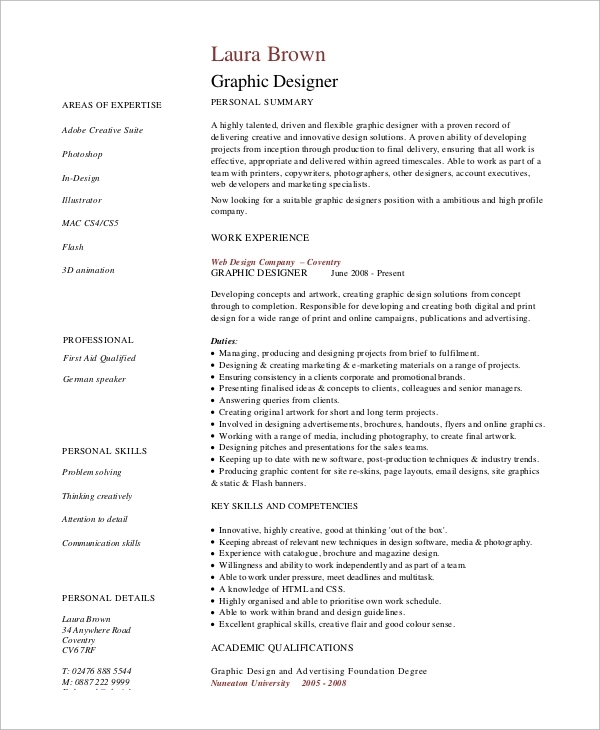 There are also resumes for assistants of various departments as well as creative professionals like a graphic designer.